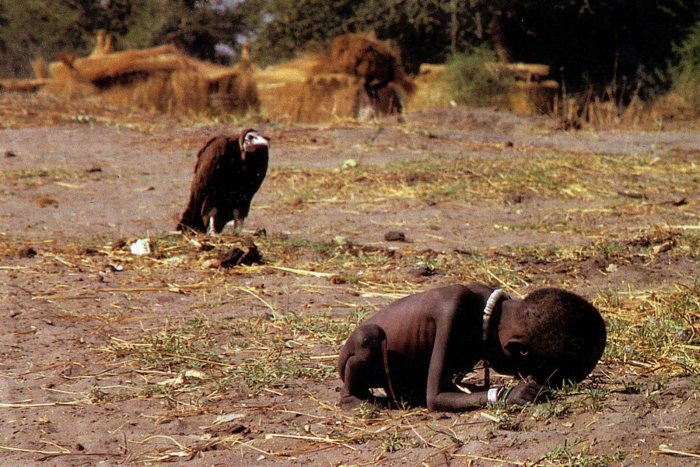 The Picture you see below is an award-winning photograph taken by Kevin Carter in 1993 during the Sudanese famine, where you can see a vulture preying upon an emaciated Sudanese toddler. The child according to Kevin was trying to reach the relief camp which was miles away. Kevin managed to chase the vulture away but the ultimate fate of the child is unknown. The picture tells us about the misery and starvation of people around us. The question is “what are we doing about it”. Are we just sharing these pictures, clicking “likes” or just making comments? There is much more we can do apart from these. The money you spend on smoking cigarettes a day or drinking alcohol a day would be more than enough for these poor people to have a meal, may be a for a month. 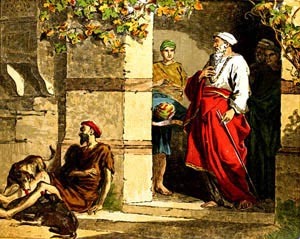 Let me remind you of the parable of the rich man in Luke 16:19-31. The Bible never points out a single mistake that the rich man has done. It never tells anywhere in the bible whether if he harmed anyone. It never tells us if he became rich the wrong way. It never tells us if he killed anyone or committed adultery. But what we know is that he lived his luxurious life without bothering about the poor. But I would say he at least allowed the poor man to lie nearby his gates. Still he ended up in hell, what about us who don’t even have time to think about these suffering people around us? Wishing you a Blessed day from England. This entry was posted in General and tagged Charity, Gospel of Luke, Help the poor, Kevin Carter, Mathew 25:38, Sudan, The rich man and Lazarus. Bookmark the permalink.